The First thing to clear up is the name of this product. When I bought this product many moons ago, it was called the Wildlife hatchet. Then they decided to call the hatchet they sent to North America the “Expedition” hatchet and changed the name of the Wildlife hatchet to the Wilderness hatchet, but only for Europe. Clear as mud? 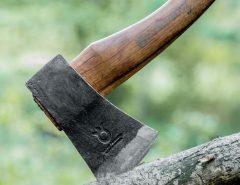 Anyway, it doesn’t really matter, for all intents and purposes it’s the same product and I’m going to call it the Wildlife hatchet for the rest of the article because that’s what I bought originally and it will make life easier. If you are fond of adventure and like to be out camping then the Wetterlings Wildlife Hatchet is the right companion for you on those trips. The almost 13 inch long handle made with American hickory is the right size for a good grip. 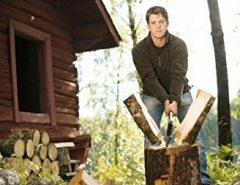 The length provides the right amount of power needed for chopping kindling or lopping branches or bush or for splitting sticks for a campfire. Great care is taken to make sure that the grain of the handle runs vertically so that the axe has greater strength. The Wetterlings Wildlife Hatchet is small enough to go with you wherever you need it in the wild. 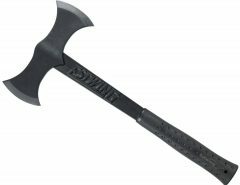 The lightweight hatchet weighs only about 1and 1/4th lbs and is easy to carry on your belt or hitched to your backpack. Most comparable hatchets are a bit heavier. Thread a suitable string through the lanyard loop at the end of the handle and hitch it into your belt loop so it stays with you as move about in the wilderness for some real time adventure. The string secures the handle and helps it to remain in place even on very long trips where you don’t want to be left without your lifesaver for chopping kindling for cooking or clearing the bush. 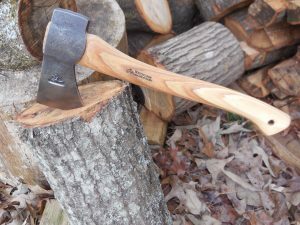 The small wildlife hatchet is equally handy at home when you need to cut branches in the backyard or carve a few things or sculpt wood if you are creative. 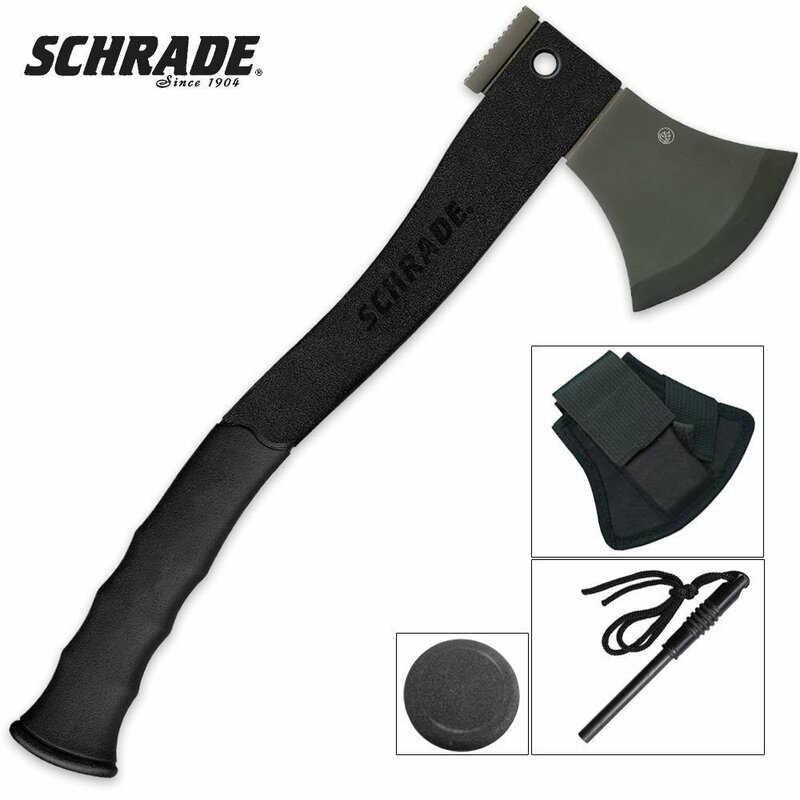 If you need to limb branches then this hatchet is of the right size and sharpness to get the job done effortlessly. It is sharp enough to chop down small trees if you want to clear up a space for some gardening. 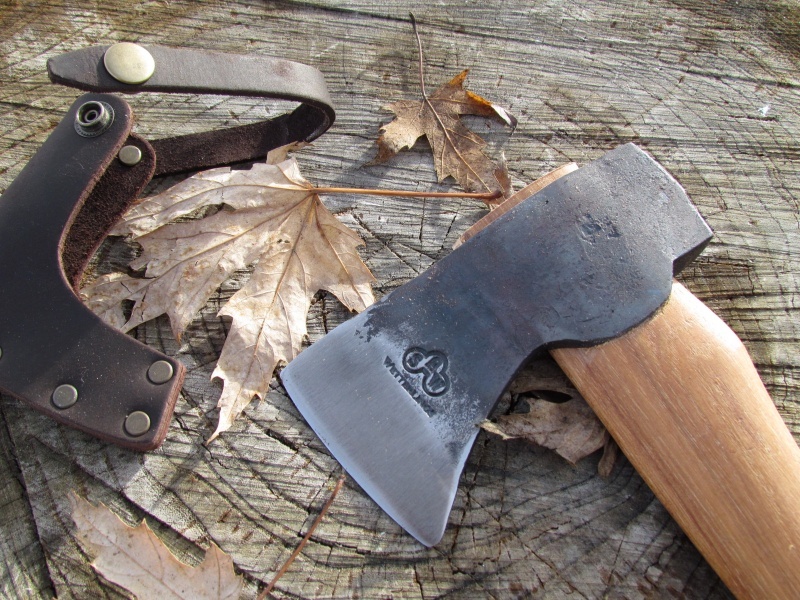 As you know it takes a lot of expertise and skill to hand forge a hatchet head. However, the Swedish Wetterlings blacksmiths have been forging Swedish carbon steel for more than 125 years and they have almost perfected the art of instinctively using the forging hammers to shape up the head perfectly to requirement. As a testimony to the fact that the head is hand forged they leave signature forging hammer marks on it. Add to this the fact that that they are hardened and sharpened by hand to get the sharp edge and smooth polished finish makes them the most natural companions when on a trip into the untamed wild. They shine without polish and grinding and are made to last. Obviously being hand forged in Sweden means more expensive (latest price here) than other hatchet options. If you’d prefer a better value hatchet that is still awesome, look no further than the Husqvarna hatchet. The handles too are hand carved and made in Wetterlings own workshops to ensure quality. 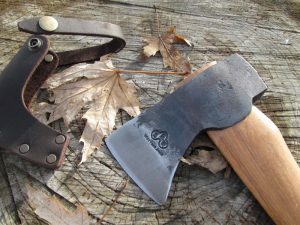 The hatchets are really a work of craftsmanship as the finished product shows balance and power in the handle and the blade. Since the head is already sharpened for use you can use the hatchet straight away. However, depending on the job you are doing you could sharpen it a bit if you like it to be razor sharp for sculpting. Cleave wood knots and it will slice into them like a knife in butter. Whatever you do ensure you carry the Wetterlings Wildlife Hatchet with you on your trips into the wilderness or you’d feel lost. 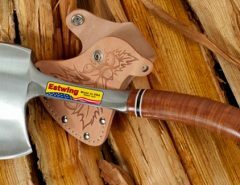 The Wetterlings Wildlife hatchet is one of the best camping hatchets you can buy. 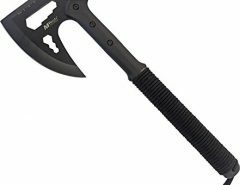 An alternative to a hatchet is a billhook.